In our Instagram feed, we sometimes share RTW (ready-to-wear) looks that we come across that would be easy to recreate with a Blank Slate Pattern. We are excited to share our first look with you! 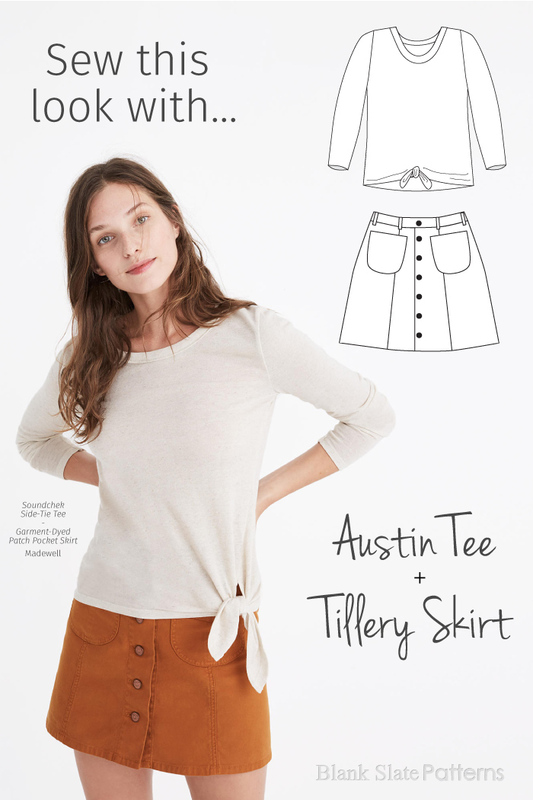 And of course the Tillery Skirt would be spot-on! Just swap out the snaps for buttons — you could use wooden or coconut, or even jeans buttons. This mustard twill (affiliate link) would work great.